Diode Editions announces its Chapbook Contest. A winner will be announced by September 30, 2017. We may publish more than one chapbook. The winning chapbook(s) will be published by March 1, and will be launched at the 2018 AWP Conference in Tampa. The winner(s) will receive $250.00, and 25 author copies. Select poems will appear in Diode Poetry Journal. If the winner(s) can attend AWP, they will have the opportunity to participate in an off-site reading, and also in signing sessions at the Diode Editions booth. The winning chapbook(s) will be perfect bound, and will have an ISBN number. Click here for guidelines. Measure: A Review of Formal Poetry presents The 2017 X.J. Kennedy Parody Award. $500 Prize. Submissions must be original, unpublished parodies of famous poems of any length and subject matter. Parodies must be metrical (accentual-syllabic or accentual), though the original poems may be free verse. The winning poem and several runners-up will be published in a 2018 issue of Measure. Click here for more information! CONSEQUENCE Magazine seeks submissions for the 2017 Women Writing War Award in Poetry. $250 Honorarium and Publication. The contest is open to women and those identifying as women. Entries must capture the nuances of the cultures and consequences of war. More info here. CONSEQUENCE Magazine seeks submissions for the 2017 Women Writing War Award in Fiction. $250 Honorarium and Publication. The contest is open to women and those identifying as women. Entries must capture the nuances of the cultures and consequences of war. More info here. The Missouri Review announces the 27th Jeffrey E. Smith Editor’s Prize Contest. Have a new short story, batch of poems, or essay ready to submit? The Missouri Review is now offering $15,000 in prize money for the 27th Jeffrey E. Smith Editor’s Prize Contest -- $5,000 per genre in poetry, fiction, and non-fiction. Winners will also be published in The Missouri Review and receive an all-expenses-paid trip to our annual Editor’s Prize gala. Submission details here. QuillsEdge Press is accepting submissions for a new and vibrant anthology of women’s voices in poetry. There is no set theme. Any poet who self-identifies as a woman and is at least 50 years old is eligible. Poetry translated into English is welcome, so long as the original poet is also a woman over the age of 50. 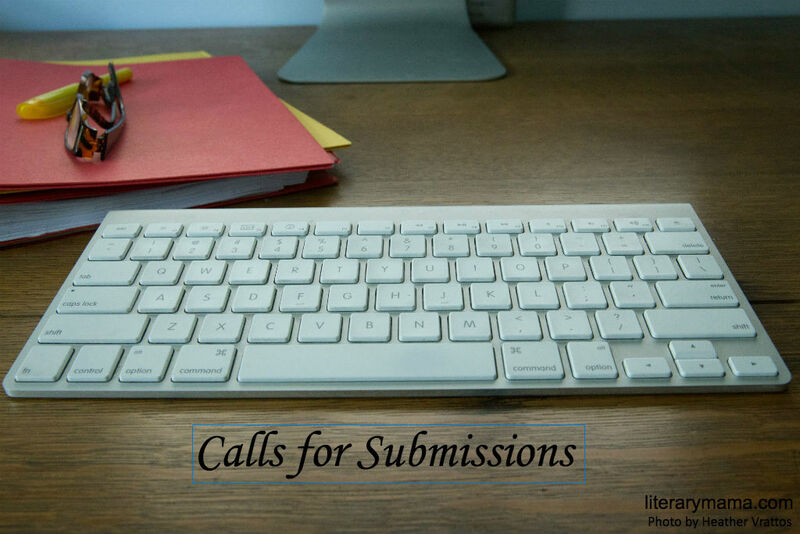 Members of historically marginalized communities, including but not limited to women of color, LGBTQI2S, and differently-abled women are especially encouraged to submit their work. Detailed submission guidelines available here. The National Girls and Women of Color Council, Inc. is seeking submissions for personal stories, poems, essays and other short stories to be featured in an upcoming anthology, Our Voices Our Stories: Advancing, Celebrating, Embracing and Empowering Girls and Women of Color. Find out more here. Creative Nonfiction is currently seeking experimental nonfiction (up to 4500 words) for the "Exploring the Boundaries" section ("experimental," "boundaries" ... yes, we know these can be loaded terms). We're looking for writing that is ambitious, pushes against the conventional boundaries of the genre, plays with style and form, and makes its own rules. As always, we have only one absolute rule: nonfiction must be based in fact. All essays submitted will be considered for publication; this is a paying market. Full guidelines/Submit here. Embark, a literary journal designed for novelists, is seeking submissions for its second issue. Released quarterly, Embark features the openings of unpublished novels, each one accompanied by a brief author's statement. For more information and submission guidelines, please visit our website. Fingers on the Button seeks post-apocalyptic stories. “A tape recorder was left in an abandoned grocery store on the outskirts of a post-apocalyptic Chicago. The recorder was found with a note: ‘Press record. Tell your truth. Hit stop.’ These are those truths.” Based on that prompt, writers submit a first-person piece that will be read by a voice actor and become its own episode in a post-apocalyptic audio experience. Defined as a literary journal on tape, a podcast, an ear movie – whatever you want to call it, it’s unique, and you have the opportunity to be a part of it at the very beginning. Submission guidelines here. Presence: A Journal of Catholic Poetry seeks up to five unpublished poems. We publish poems on the basis of their artistic excellence, rather than on the basis of the author's professed creed or because the subject matter is explicitly Catholic. The poems in this journal convey God’s presence in any number of ways—by exploring the intersection of matter and spirit, by depicting the struggle between belief and doubt, by questioning the faith, being surprised by it, taking joy in it, even finding humor in it. Details available here.